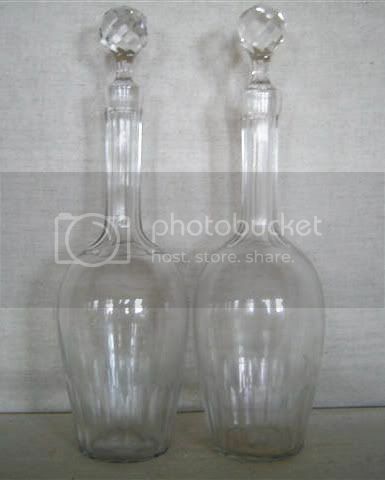 Topic: Pair c.1900 Holmegaard decanters? I've been offered a pair of decanters by a seller in Denmark, and they think they might be turn of the century (well, last century) Holmegaard. The style is about right, but I'm not 100% as the glass looks too thin and the stoppers don't look right.... I hope I'm wrong! eeek pressed stoppers. Whatever they are (it's not in the book, or else it is a mariage) you'd be disappointed by the quality compared to your other items, and I do not think you should add those to your collection. That was my initial thought - thanks for the confirmation, though!